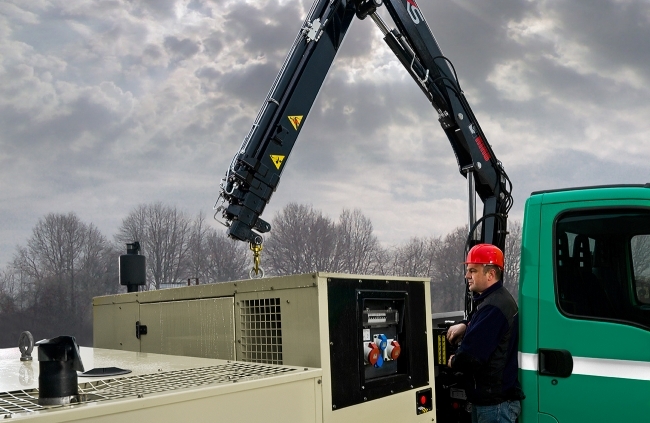 Hiab cranes are machines used to lift and relocate heavy payloads. Due to safety concerns, as well as potential damage to the payload or property, the well-trained operators must ensure precise movements of the crane. Often this requires performing multiple tasks simultaneously. 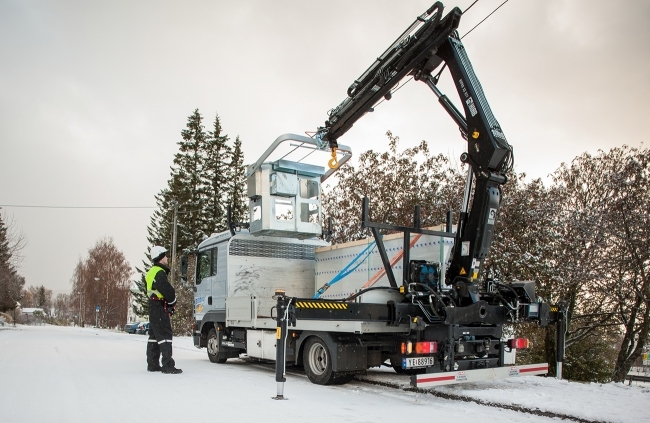 Hiab, a leading provider of load handling equipment, is designing new ways to unburden the crane operator of some tasks while maintaining the safe and precise operation of the machine. Dr. Daniel Morales, Hiab’s Research Manager for Control Systems, provides engineering solutions for all product lines at Hiab. Faced with the limitations of his company’s current computing software, Dr. Morales chose Maple to improve the speed and accuracy of the calculations used to model crane behaviour in Hiab’s existing simulation environment. Dr. Morales was familiar with Maple, the technical computing software from Maplesoft. He had used Maple extensively during his doctoral studies at Umeå University in Sweden, where he studied motion control of forestry cranes. On a crane, the boom sections are extended and retracted by hydraulic cylinders. The operator controls the action in which hydraulic fluid is transmitted under high pressure into the cylinder. The hydraulic cylinders apply a force to the crane elements that control joint motions. Within the cab of the crane, the operator controls each cylinder separately in order to move the tip of the crane to its desired location. The operator’s joystick movement directly controls the cylinder force and the velocity of joint rotation. The control method is very complicated and Dr. Morales is working on enhanced control algorithms to simplify the operation of the cylinders; controlling the individual cylinders with an end-effector (gripper). Secondly, Hiab’s current mathematical tool was unable to export results to Hiab’s existing simulation software. Maple, however, is able to export mathematical expressions and computations to other tools. Because Maple efficiently optimizes the calculations, simulations run faster using code generated by Maple.